A foreign affairs retrospective on the past year would do well to include an event that merits special recognition – an overdue gesture that quietly ended more than a century of rancor between the US and our treaty ally, the Philippines – and in the process affirmed enduring people-to-people ties and reflected America’s commitment to engagement in the strategically vital Asia-Pacific region. I am talking about the repatriation of three historic Philippine church bells. 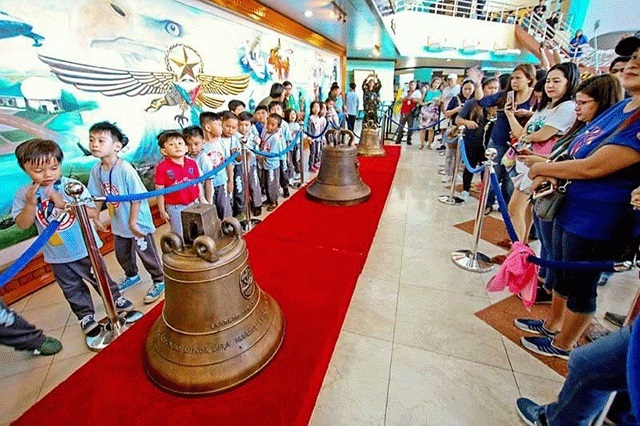 It drew modest attention in the US media, but on Dec. 11, 2018, the Balangiga Bells – kept by the American military as “war booty” for more than a century – were returned by the United States to their rightful Filipino owners. They were flown home aboard a US Air Force C-130 named “The Spirit of MacArthur” in honor of General Douglas MacArthur’s historic return to the Philippines 74 years ago. In a touching reconciliation ceremony and public display at Villamor Air Base in Manila, the bronze bells were turned over to the Filipino people. Four days later, in a tearful, joyful ceremony and mass in the coastal town of Balangiga on the central Philippine island of Samar, the bells were welcomed home by emotional but patient and forgiving San Lorenzo de Martir Church parishioners. The long, dignified journey home for the controversial bells – two kept in a trophy park on an Air Force Base in Cheyenne, Wyoming, and one on an Army installation in South Korea – started on Nov. 14 when then-Secretary of Defense James Mattis made a little-noticed trip to Wyoming. For literally decades, American and Filipino officials, including a series of presidents from each country, had worked publicly, and quietly behind-the-scenes, in good faith to return the Bells. Most recently, President Duterte respectfully, but pointedly, raised the Bells in his “State of the Nation” speech in 2017. But, the homecoming was slow in coming due to a combination of high emotions, opposition from a few US veterans and politicians, bureaucratic, military and Congressional constraints, and many long-perpetuated Philippine-American War legends and myths. For Filipinos, the Bells were part of the country’s cultural heritage and historic narrative, taken during their fight for independence from the Americans following the Spanish-American War. 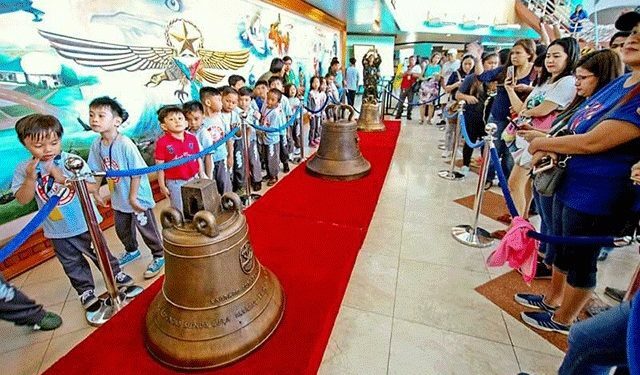 To some Americans, the Bells were war relics taken after the “Balangiga Massacre,” where a US unit was nearly wiped out. In retaliation, a US general ordered a campaign to “kill and burn” in Samar island. Thousands, including civilians, died as a result. Later, a public outcry in America forced the general’s court martial. After 117 years, however, quiet diplomacy, hard work and a team effort in Washington helped overcome resistance to the Bells’ return. Key members of the US-Philippines Society, including Director Henry Howard, and American veterans, together with historians, who provided a clarifying role, worked effectively with our government. After Congress was properly notified of the Pentagon decision based on national security, plans for the Bells’ homecoming proceeded smoothly. The Bells’ return stands as a reminder that acrimonious, long-standing disputes can be resolved through commitment, goodwill, mutual understanding, accurate information, and shared interests. The Bells’ return also remedies a grievance rooted in history, promotes reconciliation, strengthens ties with a key ally, and helps nurture an environment for sustained US engagement in the Asia-Pacific. This is a clear example of when “doing the right thing” is also the “right policy,” a point fully appreciated and well-articulated by Secretary Mattis. The American and Filipino people today are close, forward-looking friends. And, the bells are safely back home and pealing once again in the parish of San Lorenzo de Martir.